Digital Land Records in Colchester! 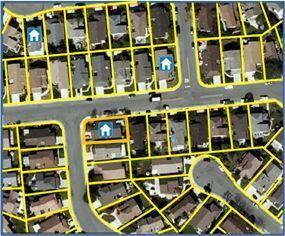 VTrans has engaged the services of AppGeo to perform a Return on Investment Study as well as a Parcel Lifecycle Report. They are seeking input from a wide variety of people who live or work in VT in order to gather knowledge and opinions about the value of parcel data (one of the key ingredients of a tax map). Visit the Statewide Parcel Data page to learn more ( http://vcgi.vermont.gov/parcels ) or click here to go directly to the survey: https://www.surveymonkey.com/s/VTParcelROI. UVM Staff Award Results in Geospatial Trophy! 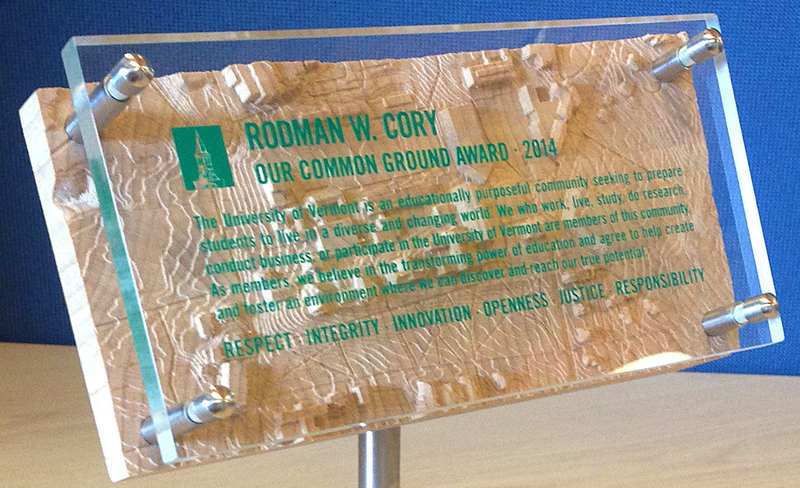 “Six UVM staff members were recognized for their extraordinary contributions and overall impact on the university on May 5 at the inaugural President’s Our Common Ground Staff Award recognition breakfast in Billings Library. Honorees were chosen from a pool of 24 nominees for exemplifying the qualities of the University of Vermont’s Our Common Ground, the statement of aspirations and shared values of our community: respect, integrity, innovation, openness, justice and responsibility. 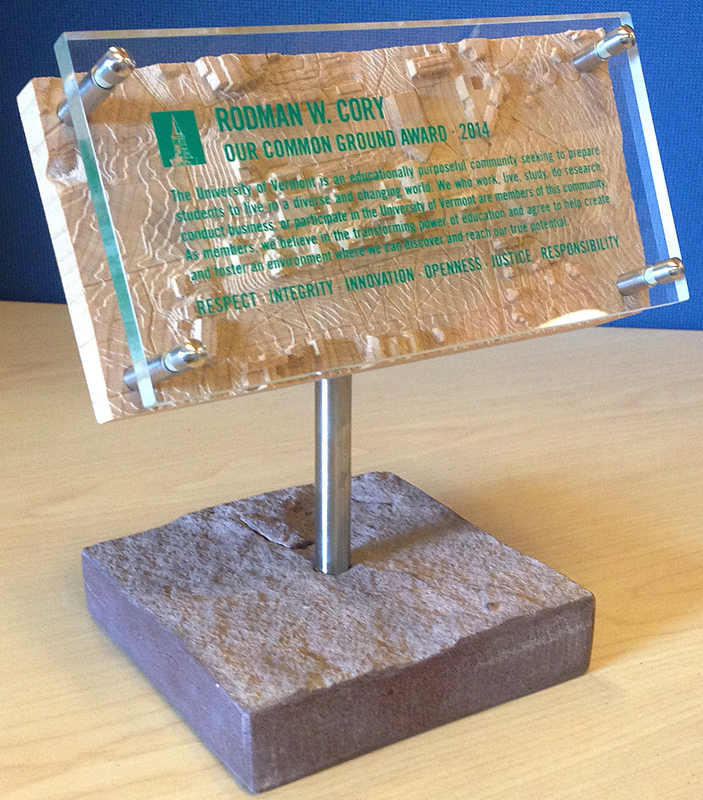 Chris Reck of Direct Design contacted VCGI for ideas regarding who might actually create the 3D wood topo map featured in this trophy. Leslie Pelch of VCGI sent a message out on the VT GIS email list serve and several people got in touch with Chris to say they might be able to help. In the end, Spencer Wright of Bristol Contours (802-355-0800) was able to create the maple topo map of a portion of the UVM campus. 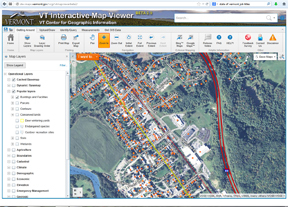 The VT Center for Geographic Information (VCGI) is pleased to announce an “open beta release” of the new VT Interactive Map Viewer (VT Viewer). You can participate in a guided tour during the free webinar on April 30. The toolbar has been rearranged to make it more intuitive. The look-and-feel of the VT GIS basemap has been significantly improved. Several dozen new data layers (including parcel data) have been added to the viewer. User can change the symbology of any layer. Complete set of VT imagery and imagery indexes. Several new supplemental background basemaps have been added such as contoured hillshade and the latest USGS Topographic Maps. All layers have links to full documentation and downloadable data files. Now we need to hear from you! Please take the new VT Interactive Map Viewer (BETA 2.0) for a test drive, then let us know what you think by completing the Feedback Survey. The BETA 2.0 release will be available as an “open beta” until May 31st, 2014. After that VCGI will be reviewing all survey feedback and applying any needed adjustments/fixes to the site. We plan to release the final version by July 1st, 2014. It will replace the current VT Interactive Map Viewer. You are currently browsing the archives for the Maps category.